Aim at the ducklings with your water gun and take their crowns off. Don't waste too much water! Enjoy this great physics-based platformer! Control a warrior with a bazooka and get rid of the monsters in each stage. Some of them will be hiding, so try to reach them by making the bullets ricochet. 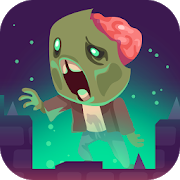 Clear all 18 levels and get 3 stars in each one of them! 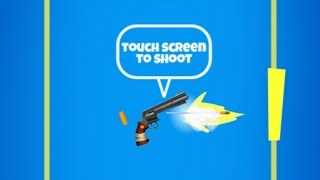 Shoot as many targets as you can in this unique shooter! Let the gun spin and choose the right moment to hit the yellow blocks.